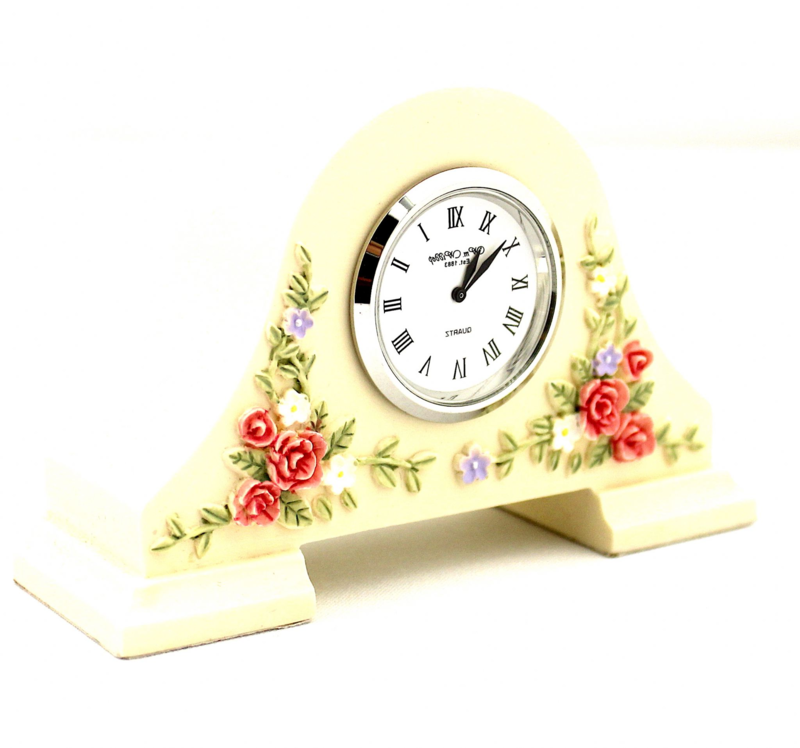 Mantel clocks can sit anywhere and become the centre piece. 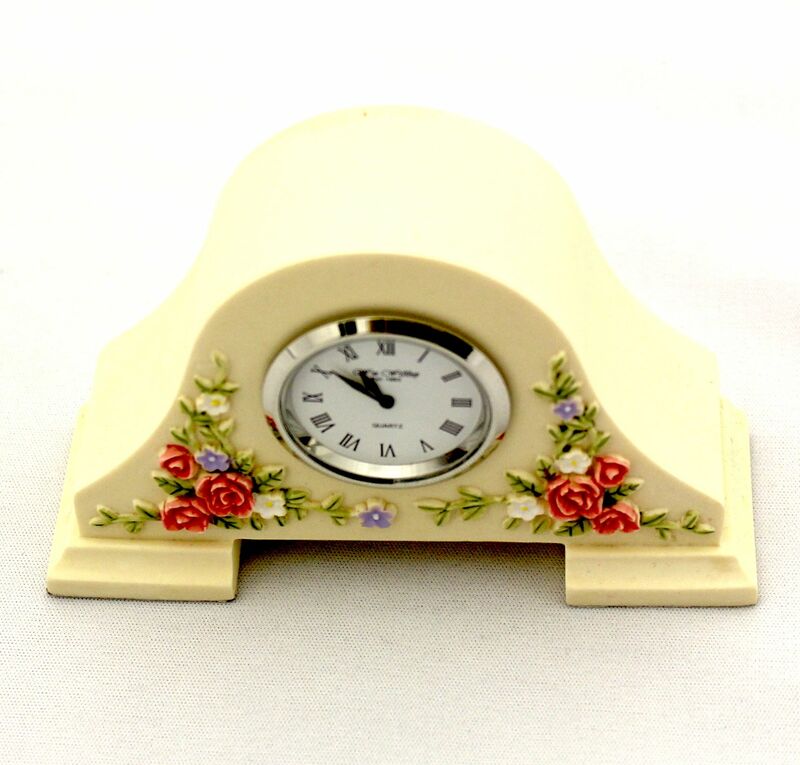 This one is no exception. 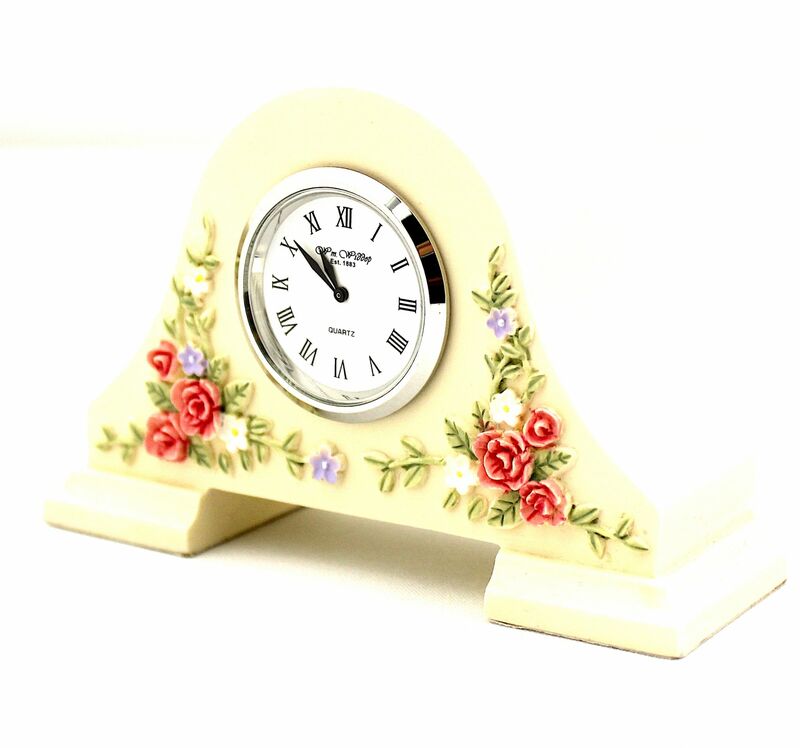 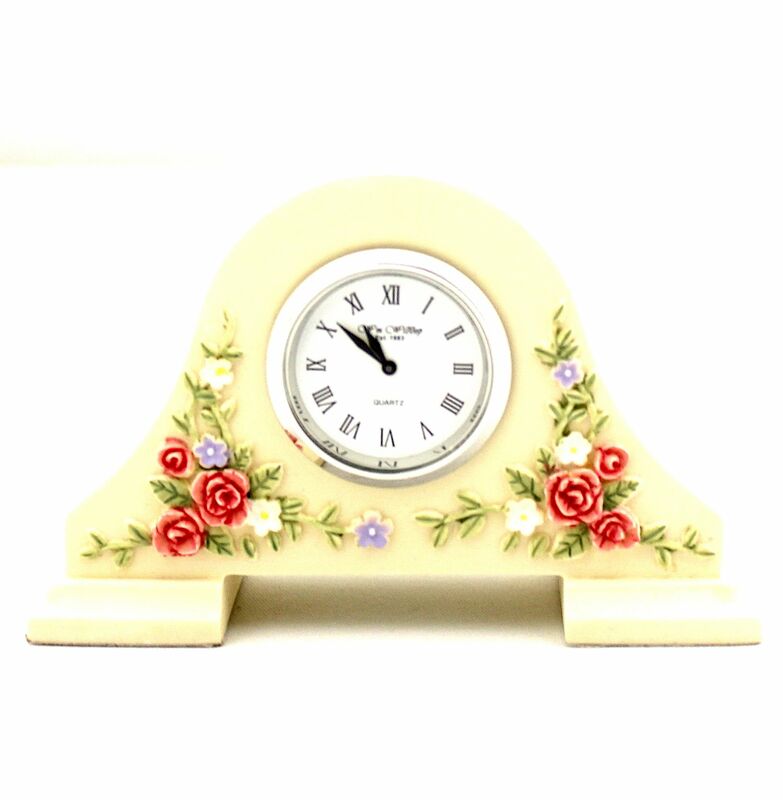 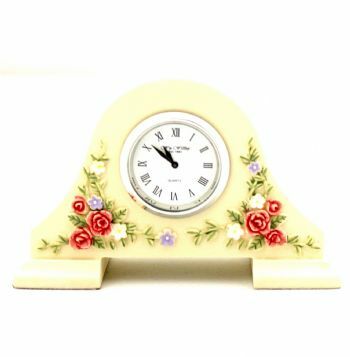 A mini mantel clock with floral design it is attention getting.